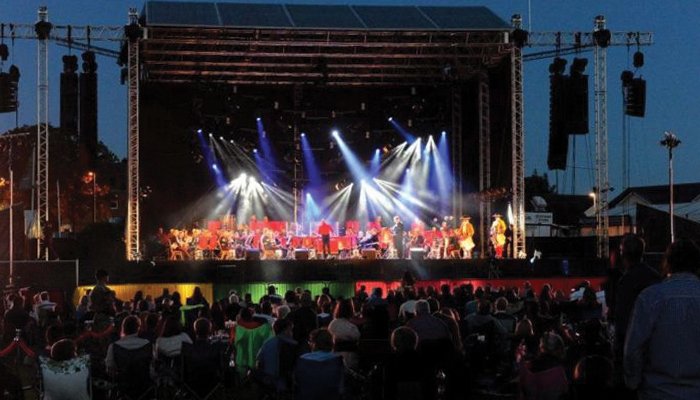 The Royal Marines planned a four night visual and musical extravaganza to mark their 350th anniversary. 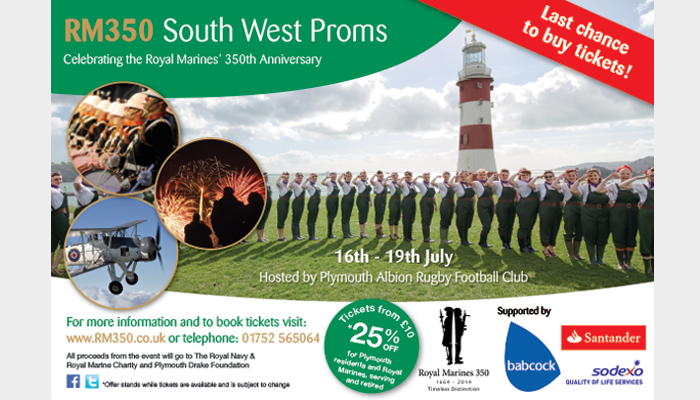 RM350 South West Proms was the flagship event in the region and we provided integrated PR and marketing support. Our role went above and beyond, forming a fundamental part of the project team, helping to plan and co-ordinate this milestone event. We implemented a packed programme of PR activity, media buying, social media management, graphic design, advert and web content creation to draw considerable attention to the event. We sought out the most compelling PR content from the Royal Marines, from interviews and case studies, to historical features and creative photography, which kept the anniversary and the event on the news agenda. Our activity raised the profile of the anniversary and event across the UK. We secured substantial editorial and advertising exposure, including a commemorative supplement in the local press and hosting the BBC’s outside broadcast team at the event. With thousands of tickets sold, attendance from HRH the Duke of Edinburgh and all profits donated to charity, this was a memorable occasion for which we received a letter of thanks from the Royal Marines for our dedication.